It seems weekly that Microsoft is running a great deal on the Lumia 635. This week is no exception. Right now on the Microsoft Store you can get a Lumia 635 free when you purchase a 1 year subscription to Xbox Music Pass. The deal is $99 and that gets you one year of Xbox which you can stream to your device (ad-free I might add), create your own stations, download music for offline listening and sync this across all your devices. It’s a great deal by itself but now you get arguably a fantastic music player in the Lumia 635 included. Oh yeah, it’s a pretty good phone too. To get this deal, follow the link below. 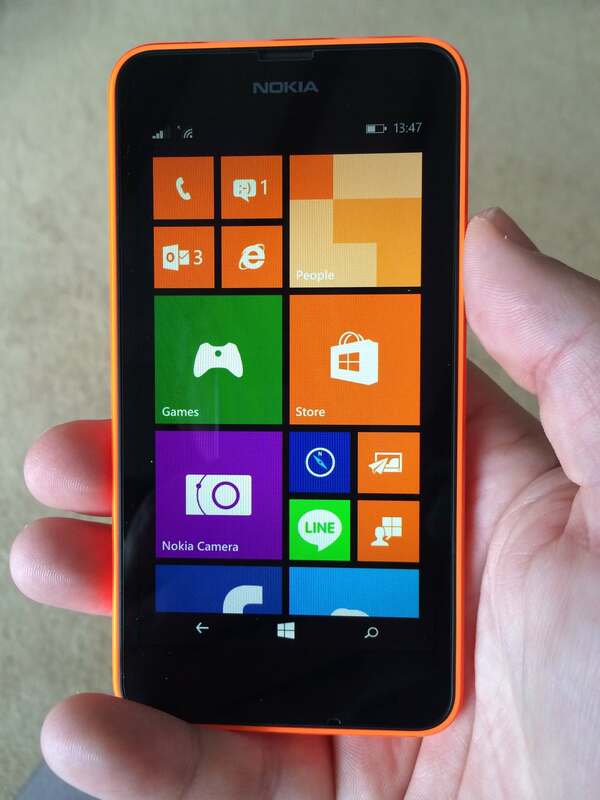 If you haven’t read my review of the Lumia 635, you can do that right here. If you have been on the fence about picking up a Lumia 635 on the AT&T network, now is the time to jump. At the Microsoft Store you can pick one up for only $69 and there is no contract commitment required from AT&T. It’s a great deal on a great little Windows Phone. I reviewed the Lumia 635 when it was first released and it is still one of my favorite devices. It’s small, lightweight and has quite a bit of power for an entry level phone. The Lumia 635 has been one of the better selling devices for Microsoft and has always been at a great price point. Throughout most of the holidays it was between $69-99 and was even as low as $39 on Black Friday. Still, at $69 this is a great phone even for daily use but certainly could fit the role of a back up phone or a media player device. There is no word on when this price will end (it has been $99 for most of this year) or if this is a new permanent price for the phone. Regardless, get one now while the price is this low. This is big news Windows Phone fans as Sprint has just announced they will once again be carrying Windows Phone as part of their device line up. Starting December 23, next Tuesday, Sprint will offer the Lumia 635 on their Virgin Mobile and Boost Mobile networks and for Sprint customers they will have it as part of their pre-paid program starting January 16. The Lumia 635 will be offered on all three of the networks as a no contract option but will be eligible for their unlimited talk, voice and data programs. The announcement means that all four of the major US mobile carriers – AT&T, Verizon, T-Mobile and Sprint – are carrying at least one Windows Phone device. AT&T and T-Mobile have been the two that have been furthest ahead when it comes to support for the platform while Verizon has still yet to release the Lumia Cyan update for the Lumia Icon. Hopefully Sprint will add some fuel to the Windows Phone fire in the United States as there is now, literally, no limit on any carrier.